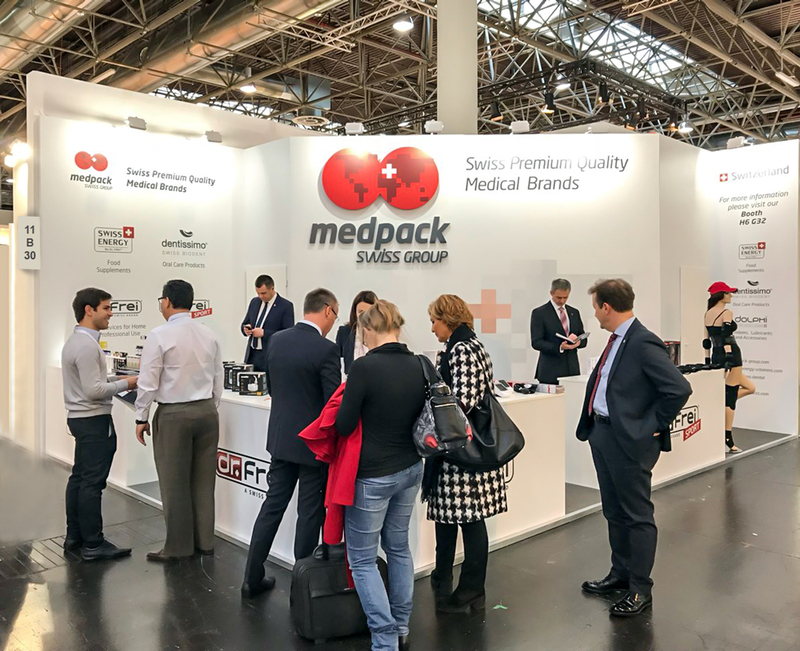 MEDICA 2017 has started, and all the visitors of the show are welcomed to visit the booths of Medpack Swiss Group, Switzerland. This year wide ranges of our Swiss Premium Quality Medical Brands are displayed at two separate booths in Hall 11 and in Hall 6. At our booth B30 in Hall 11 you will find Dr.Frei and Onelife medical devices as well as Dr.Frei Sport braces and supports for athletes. At the booth G32 in Hall 6 Dentissimo oral care products, Swiss Energy food supplements and DOLPHI condoms and accessories are shown accordingly.